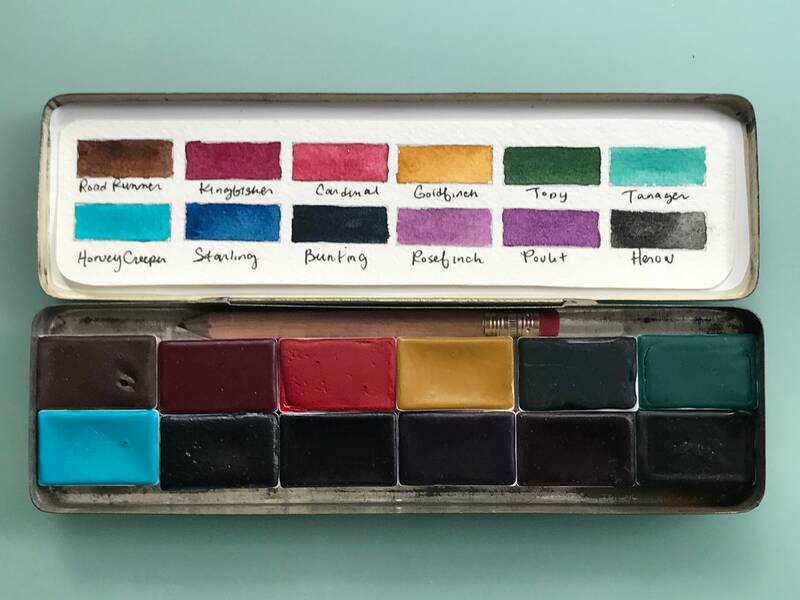 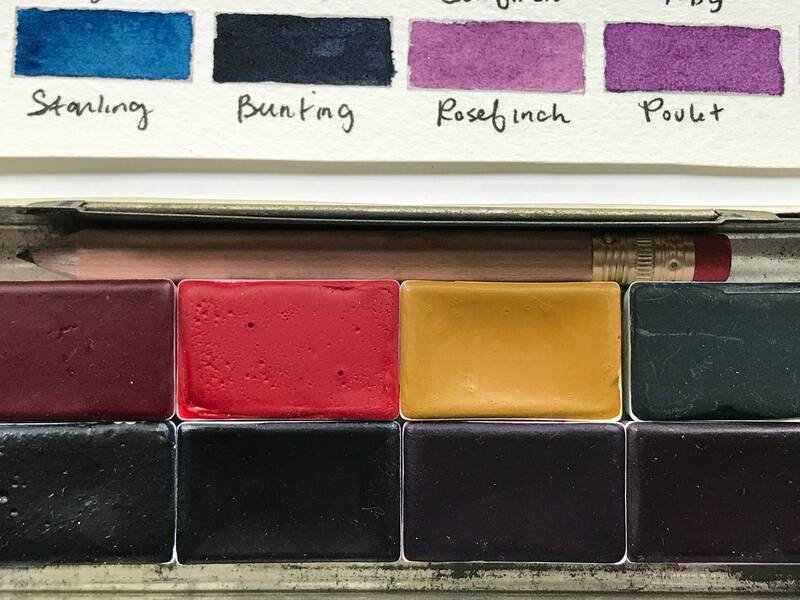 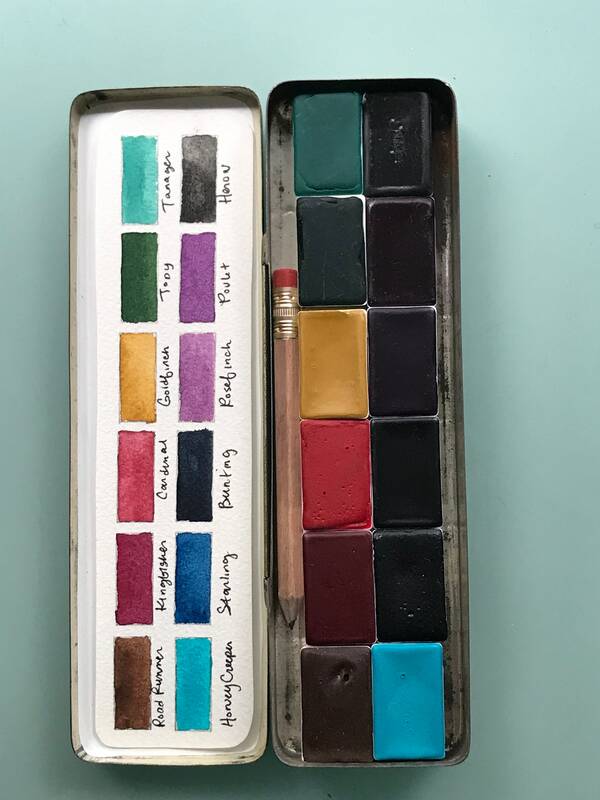 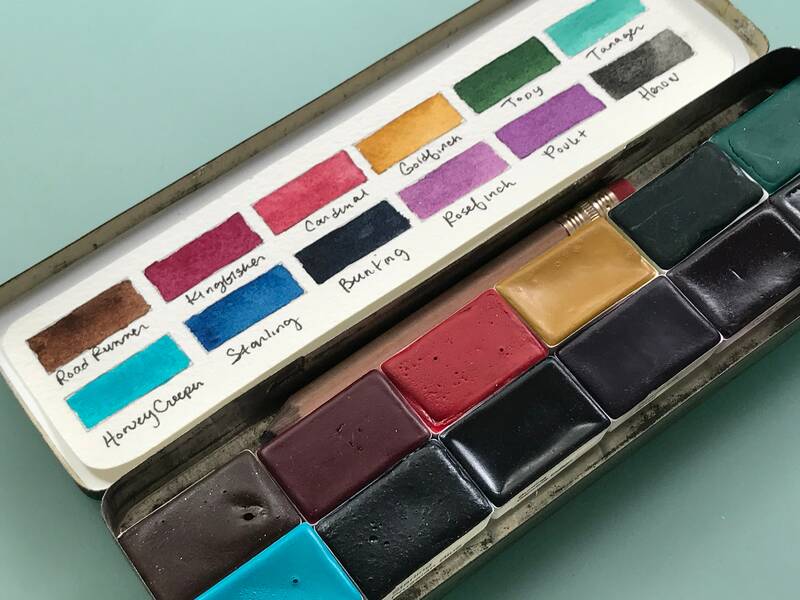 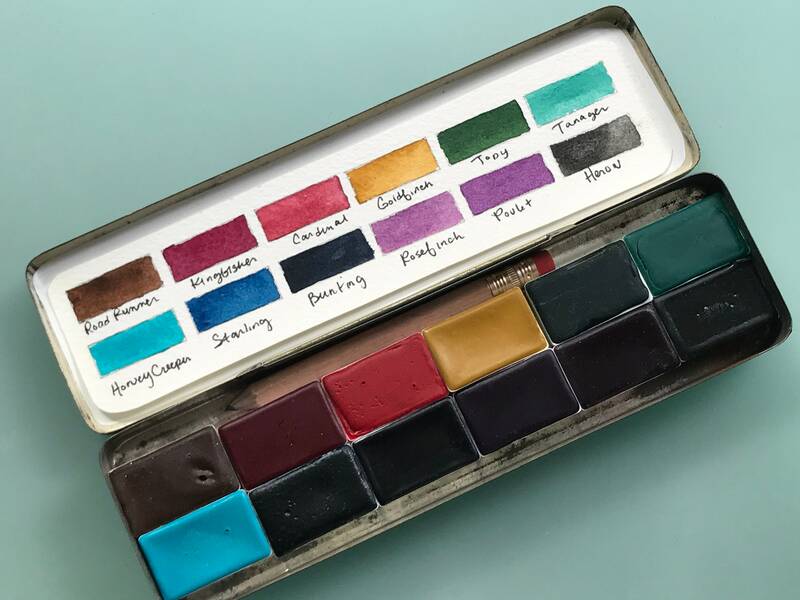 Includes 12 WHOLE PANS OF watercolor in Vintage Pencil Tin. 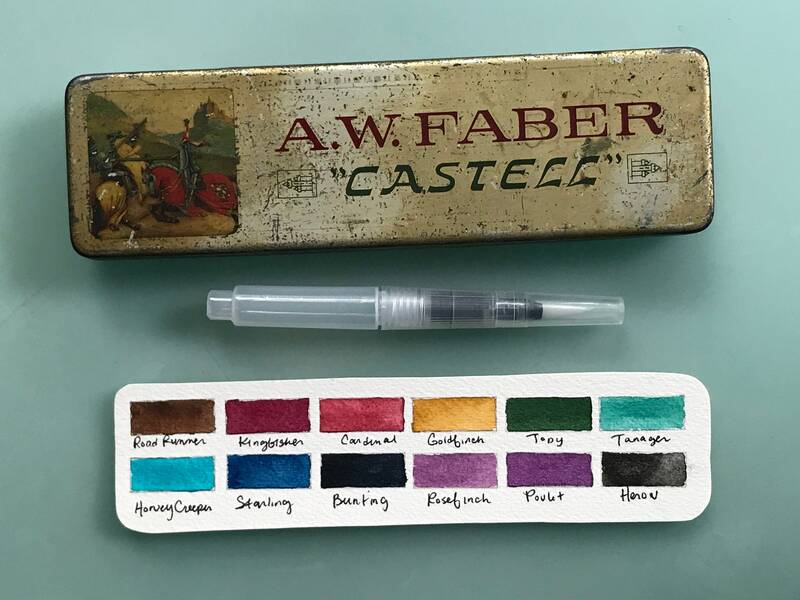 The tin is very old and has some wear to it, which is what we love about it. 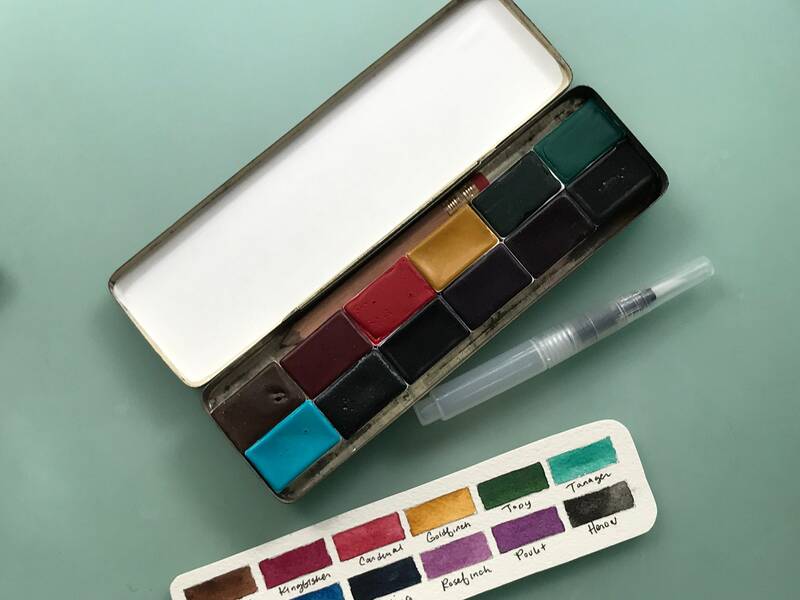 Comes with water brush and FREE SHIPPING in US.